We have recently bought four items from Grosvenor Prints in London. Derby Museum and Art Gallery have added a trade card and memorial poster to their collection and Buxton Museum have an engraving and piece of headed stationary. The memorial is to the ‘splendid exhibition of works of art and productions of nature in the Animal Vegetable and Mineral Kingdoms’ which was opened in the Mechanics’ Institution in Derby on May 13, 1839. ‘The Derby Mechanics’ Institution was established April, 1825, under the auspices of Joseph Strutt, Esq, the president, the late William Strutt, Esq, and several patrons of education in the town and neighbourhood, who liberally entered their names as donors and annual subscribers to the Institution’. 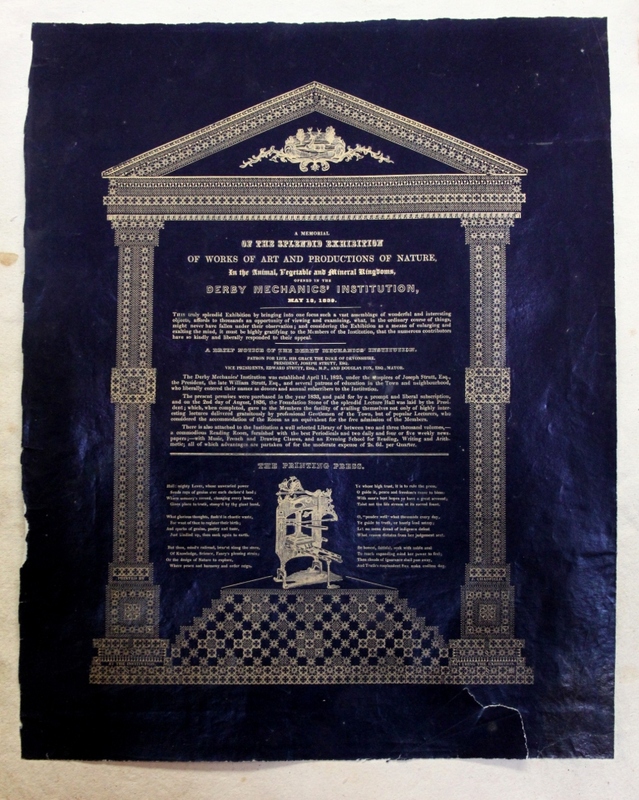 This broadside poster was printed by J Chadfield at the institution during the exhibition. The image of the printing press toward the bottom of the page is a Columbian ‘Eagle’ Press with its trademark Eagle counterweight. Broadsides throughout history have been one of the most popular printed formats. Printed on single sheets of paper and printed on one side only; broadsides were used to inform the public about current news and events. This purchase nicely compliments an engraving of the Mechanics’ Institution by Samuel Rayner, 1839 that Derby Museum already has. 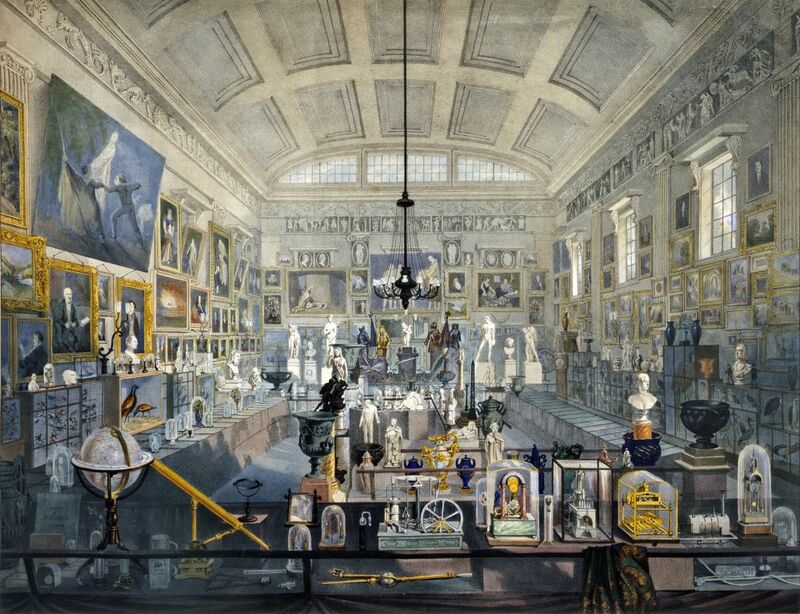 Some of the objects in the picture are still in the museum’s collection today namely ‘Romeo and Juliet’ by Joseph Wright which can be seen on the far wall on the left. Inscribed ‘O. 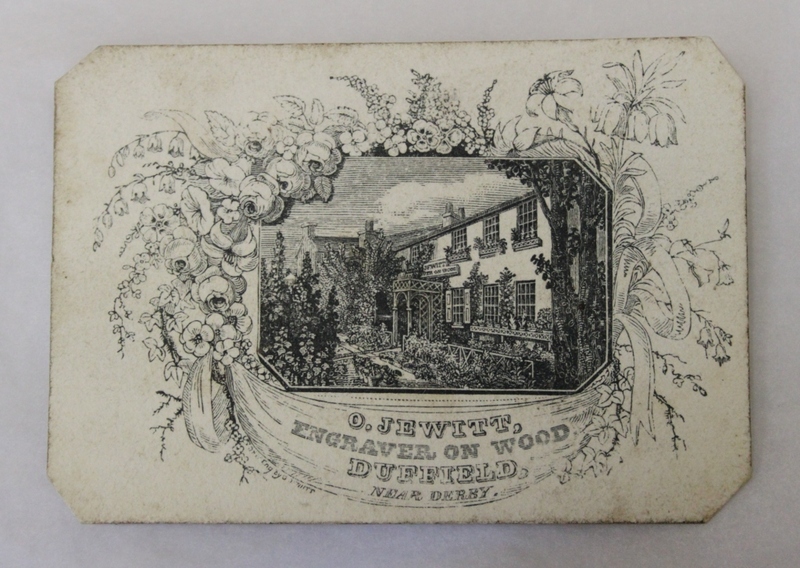 Jewitt, Engraver on Wood, Duffield, Near Derby’. The scenes depicts Orlando Jewitt’s house in a border of flowers. He was born in Buxton in 1799. 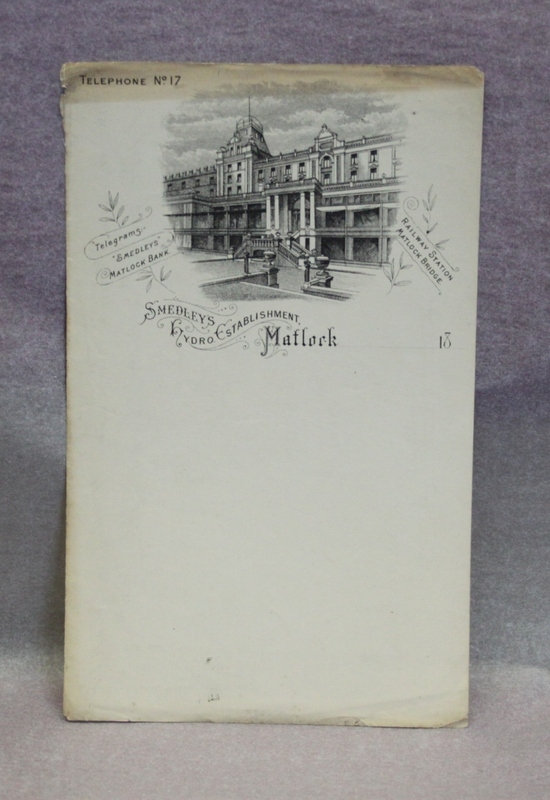 Headed stationary from Smedley’s Hydro Establishment, Matlock. There is a hand written note on the reverse relating to the transfer of £1000. Cromford Bridge at the entrance to Matlock Vale, 1830.